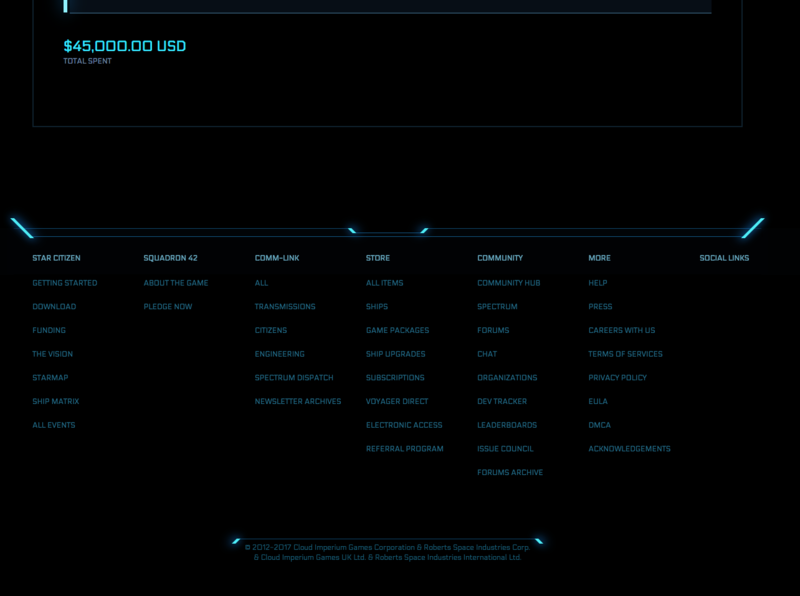 This must be a new record surely for a Star Citizen refund? A backer who has been attempting to get a refund on three $15,000 completionist packages has finally been successful after five weeks of back and forth emails with CIG. So why now? Well, following Gamescom some backers have not been satisfied with the progress of Star Citizen’s development. Some backers have completely bought into the concept which is not surprising because on paper it sounds brilliant. In reality, things are moving a little slower than some might have expected when the game was announced back in 2012. The backer going by the name of Mogmentum posted the following note on Reddit supply proof that this $45K is legitimate. There was lots of arguing within our guild, but in the end the whales who had contributed the most had the final say, and we refunded our three completionist packages, originally purchased at $15k each, so $45k total refund. We sidelined many other great games and commercial opportunities waiting for Star Citizen, but in the end we can’t wait any longer, and a new generation is joining also who have absolutely no interest. The final straw was evidence presented the committee of Chris Roberts blatantly lying, we don’t mind the delays but couldn’t handle the lies anymore, and it left us wondering what else he is knowingly lying about. It was a nightmare getting the refund, we are a commercial org and pooled the money to buy the completionist packages, and used a corporate card to buy them, so we had major issues with getting refunded to the same card, paypal and then providing ID. Total it took about 5 weeks to get sorted. A lot of time was spent trying to explain the situation to some woman called “Schala” and just getting the same answers copied and pasted backwards and forwards, they definitely try to delay you as much as possible in the hope you’ll forget or give up. I prefer to remain anonymous as the guild can easily be linked back to my personal identity, and we all know how insane and potentially dangerous the few remaining Star Citizen believers can be. I’ll put some juicy screenshots below however. Thanks for all your help here guys, we couldn’t have done it without the support and guidance of this subreddit. There was some scepticism about the legitimacy of the claim but the backer has attempted to provide further proof with a video (since removed). It’s a real shame to see backers pull out but it’s understandable when you are talking about sums of money this large. After five years of development, that $15K is a lot that could be spent on something else. If more large backers follow it could cause a few problems for CIG. False claims of refunds do not do the community any favours and certainly don’t help when people are genuinely trying to get refunds from CIG. Refund discussion is not going to go away as long as the game is still in development though and so we expect more of these to crop up from time to time. We have reached out to the person who made the claim to find out more.